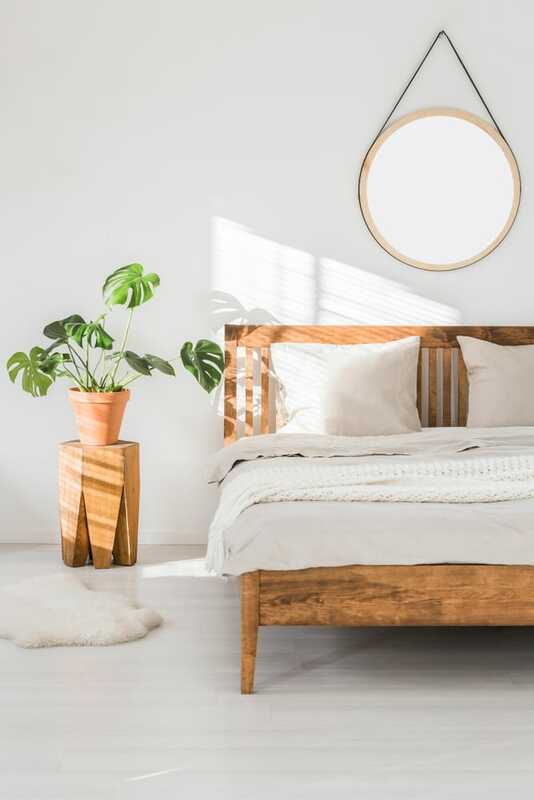 Plants have great potential when it comes to interior décor and some people consider the larger varieties to have even more of an impact. Big plants add a mysterious vibe creating the impression of an enchanted forest which is welcomed for any living room. Large houseplants can be used to make a bold statement and they will require some more care and initial investment compared to regular plants. There are lots of popular indoor trees that you should consider if you wish to brighten up your living space and add a touch of green freshness. It’s important to select a plant that’s known to do well indoors. Some varieties might grow too big for smaller rooms, so you need to take your pick carefully. 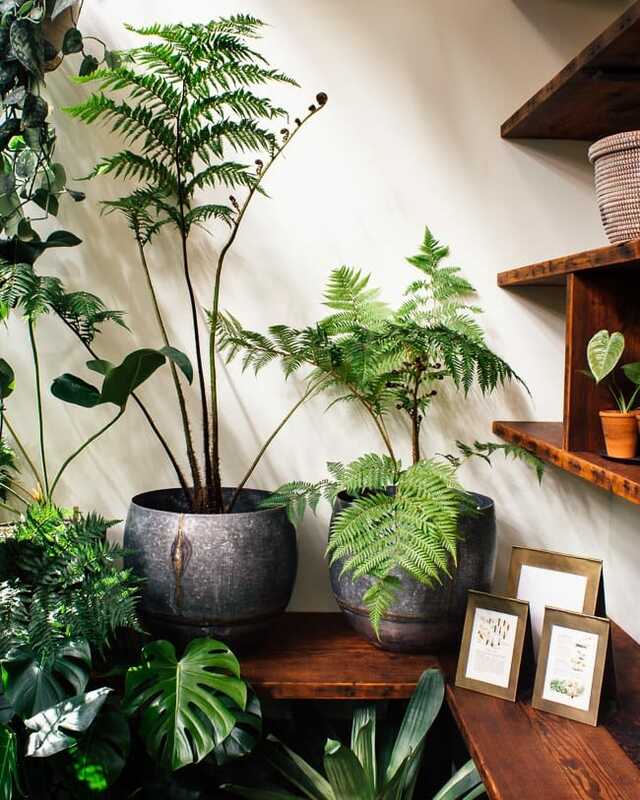 Big houseplants have the capacity to set the mood in a room and they can be successfully implemented in a wide range of interior design styles. 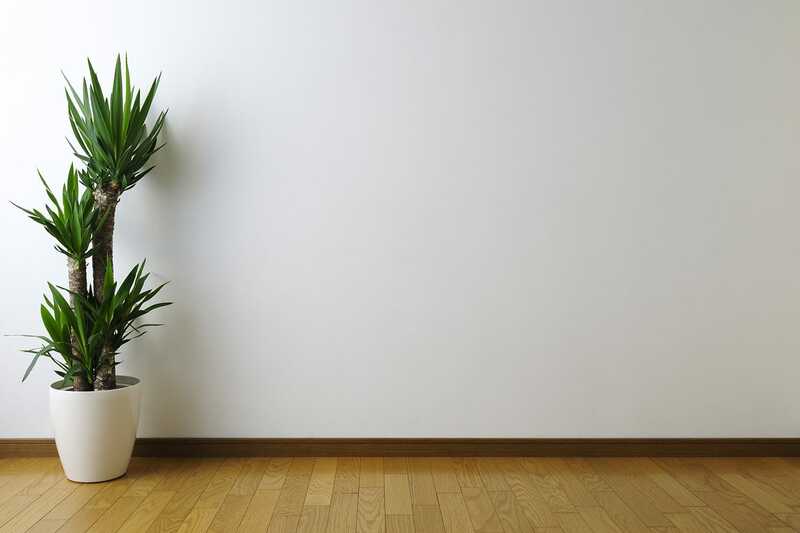 Let’s take a look at the most popular indoor trees that earned their status due to their low-maintenance features and visual aesthetics. With stiff and spiky leaves, the Dragon Tree is one large houseplant that looks beautiful indoors. You can place one plant or several in a single pot if you want to maximize the visual effect. 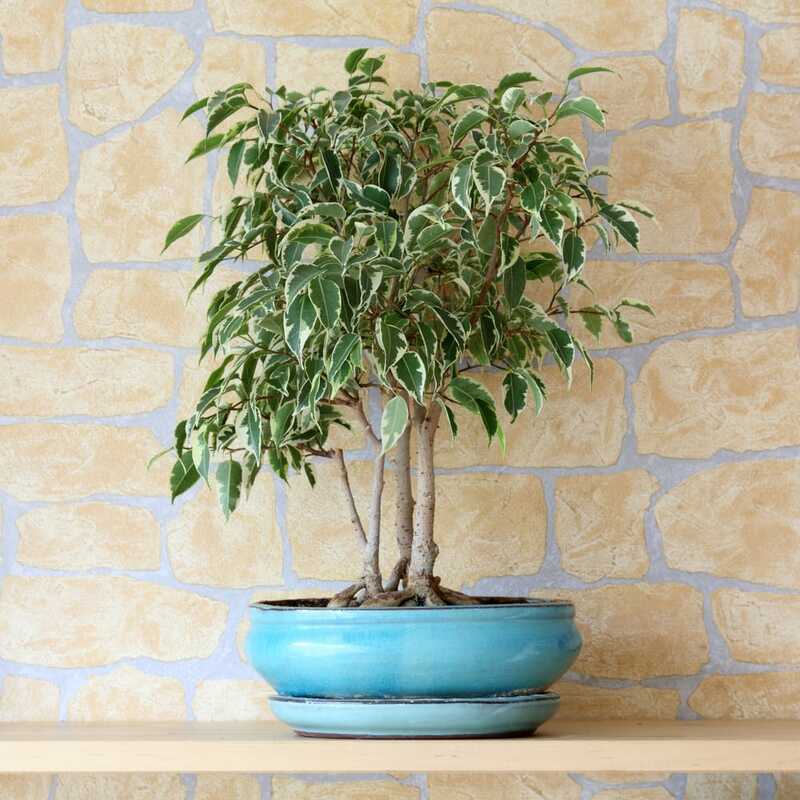 This indoor tree loves medium sunlight while too much shade can slow its growth process. It’s important to keep a balance here as the Dragon Tree can’t take direct sunlight as it can burn its leaves. You can expect this plant to grow considerably even over 10 feet, but keep in mind that it doesn’t grow straight vertically. 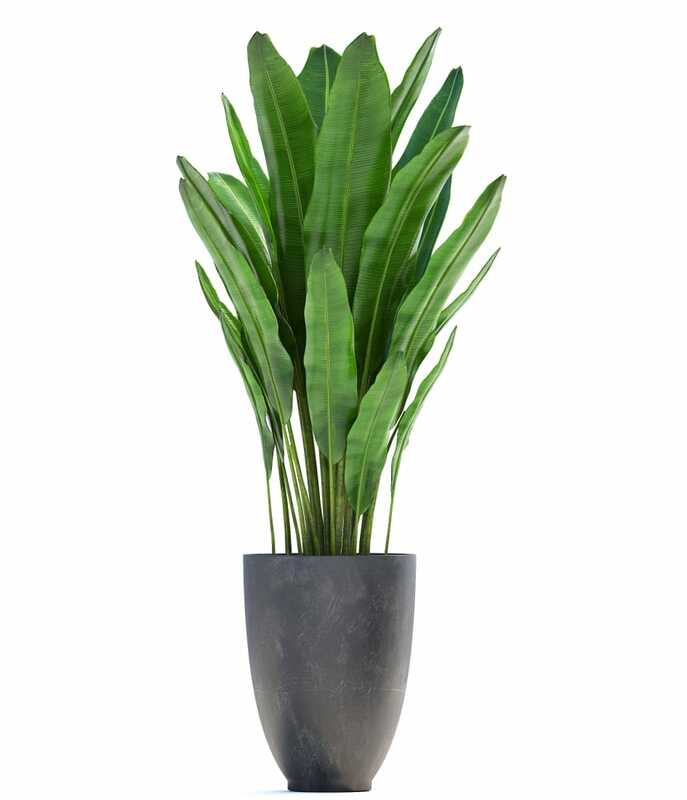 This large plant gives off a mid-century modern feel, but it can match any décor without too much difficulty. 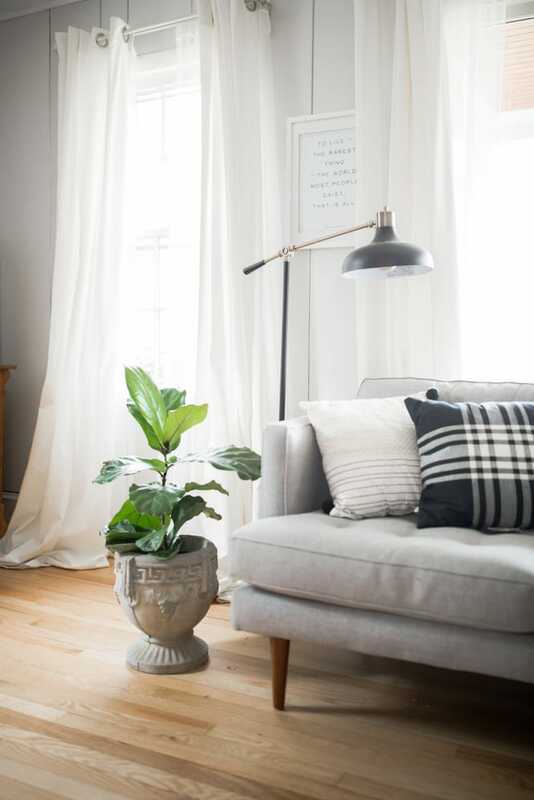 A highly popular option for an indoor tree is the fiddle leaf fig. This is probably due to the low maintenance characteristics of this plant. When it comes to visual appeal, you won’t be disappointed by the stylish violin-shaped leaves that are broad and vibrant delivering some jungle vibes to any living room. While it can look gorgeous when placed in any room of your house, the fiddle leaf fig looks particularly great in the bathroom. Make sure you pick a corner that gets enough light and humidity for the plant to thrive. In the summer weather, it can work very well to decorate your patio. The rubber tree has thick-looking leaves and can reach heights of 3 to 6 feet tall. The secret is to offer it plenty of indirect light and regular watering. Thanks to the dark hue of their glossy leaves, this tree looks beautiful indoors when paired with neutral colors. As the rubber tree is a tropical plant, it will favor a more humid environment. It won’t require special care to thrive and offers some air-purifying benefits aside from its ornamental potential. If you want to make this houseplant grow taller, it’s a good idea to choose a larger container. With an attractive look fitting for luxurious furniture, Monstera deliciosa represents a great choice for an indoor tree. The foliage comes with an interesting cut design and the plant can grow very tall if it’s well taken care of. If you wish to create a tropical atmosphere in the room, this large houseplant is highly recommended. Even though it has ‘pine’ in its name this indoor tree is a tropical plant that requires high humidity to stay healthy. 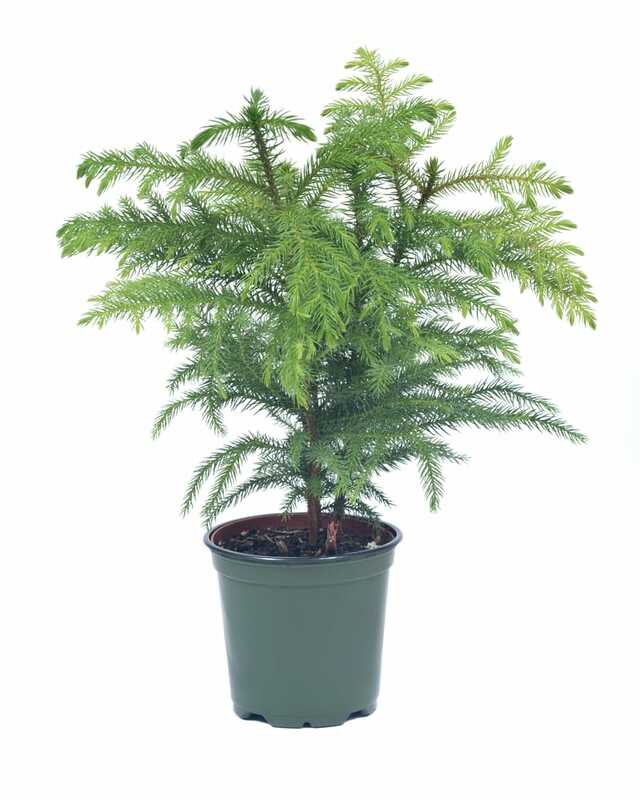 The Norfolk Island pine has a special appeal for the winter holidays and is relatively easy to care for. It will do better when placed in direct light and needs some protection against drafts. This indoor tree has soft and delicate leaves that resemble pine needles. While they are marketed as indoor Christmas trees, you can enjoy their beauty any time of year. The plant grows slowly, but make sure you have some space because they live long and will eventually reach tall heights. 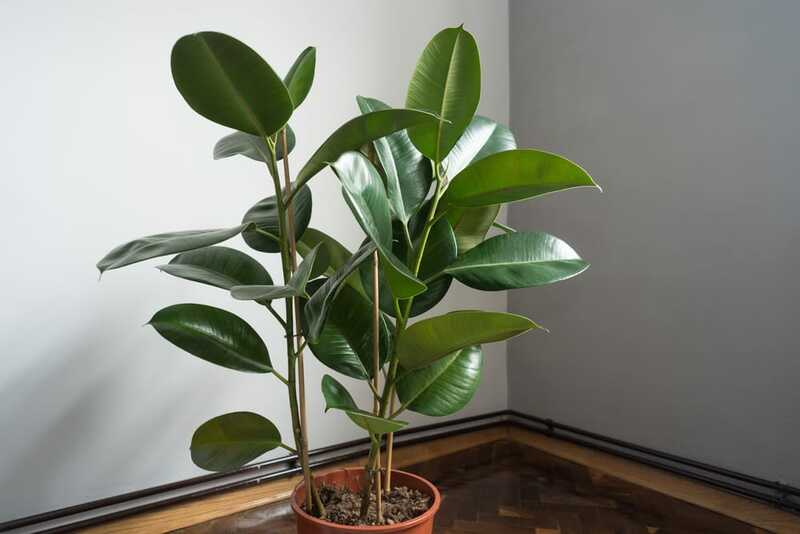 Thanks to its slender green leaves and superior toughness compared to other ficus plants, the ‘Alii’ variety is popular to be used as an indoor tree. One aspect that many homeowners like about this houseplant is that it doesn’t have a tendency to shed its leaves. It will require some proper caring to thrive, though it’s good to know that the Alii Ficus doesn’t favor some particular light conditions. This tropical indoor tree looks amazing in the living room or bedroom and can reach even 8 feet in height. 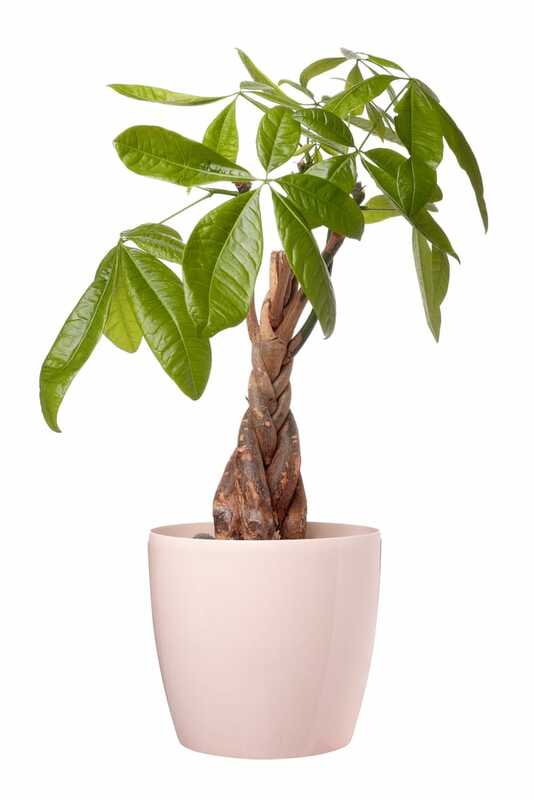 Symbolizing prosperity and good luck, the Money Tree comes with a slender trunk in braids and shiny leaves giving off a tropical vibe. Native from Mexico and South America, this plant can be grown indoors without too many problems. Just make sure you provide it with plenty of bright to medium light. The Money Tree won’t grow very tall as it can reach a maximum height of 5 feet indoors. A more interesting characteristic about this plant is how its trunk evolves over time becoming thicker and full of texture. 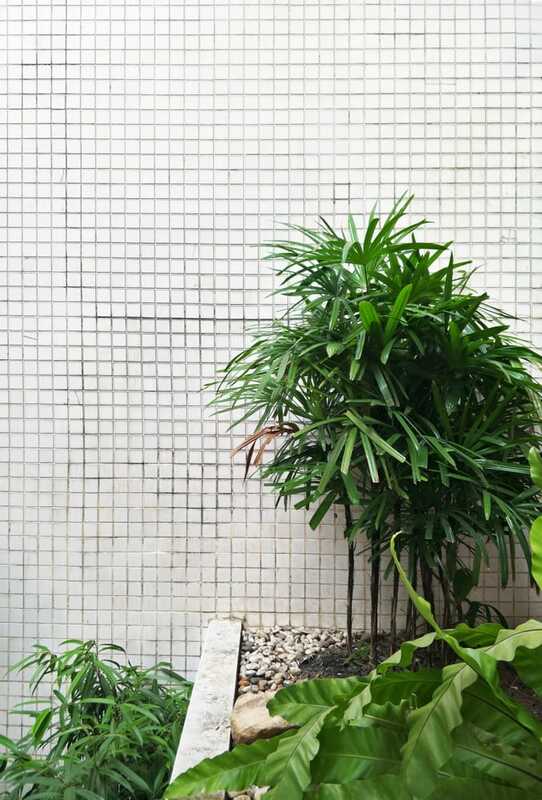 Its fresh punch of greenery can suit a bathroom very well considering the high humidity needs. A graceful plant with teardrop-shaped leaves and smooth bark, the weeping fig is a lovely choice for an indoor tree. Taking care of it isn’t difficult as a well-lit room is enough to prevent leaf shedding. Make sure to water this plant only when its soil is dry at the surface. Leaves of a weeping fig can start to drop when there’s a lack of cold draft protection. Hot dry air can affect it negatively as well. This is the kind of plant that can grow very tall as it has the potential to reach 10-12 feet. By keeping it pruned, you can adapt it to the size of your room. Native to the tropical rainforests of Asia, this is a tropical plant with large and flat leaves that won’t get very tall. 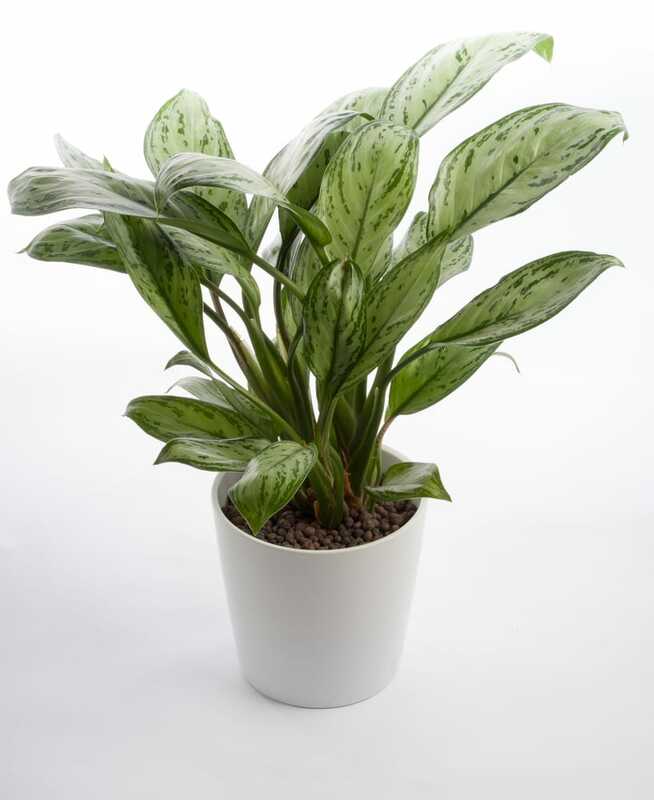 When in healthy condition, the Chinese Evergreen can reach 3 feet and it offers a lush impression as it tends to become equally as wide. Thanks to its low-light needs, this is a fitting indoor tree for many homes. The only thing that needs a bit of special care is the temperature as the Chinese Evergreen requires adequate and consistently warm temperatures to grow in an optimal manner. 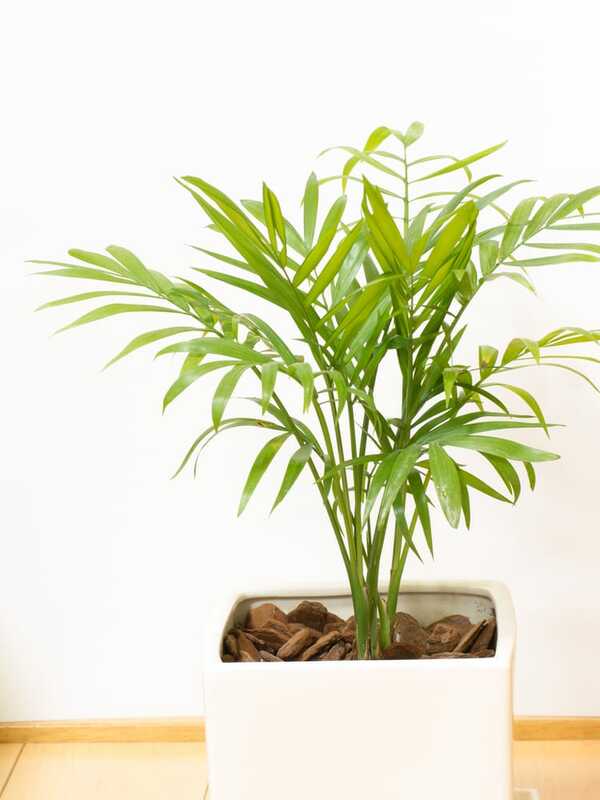 One of the sturdiest indoor trees that you can get your hands on is the Kentia palm. This is a favored choice when it comes to adding a large plant in the office given its low-maintenance style. Indirect sunlight seems to enable this plant to prosper. There’s no need to worry about pruning considering the low growth rate. The Kentia variety is more expensive compared to other palms, but it’s easily worth it when you take into account their long lifespan and great tolerance to indoor conditions. Its dark green fronds look elegant when paired with different surroundings. Another great indoor tree that brings some jungle vibes to the room is the Bird of Paradise plant. With a well-balanced combination of high humidity and bright sunlight, you can expect this houseplant to reach around 6 feet tall at its maximum height. The foliage of this indoor tree resembles a banana plant and its name comes from the colorful flowers. While this is more like a tall houseplant and not really a tree, the Bird of Paradise looks very beautiful with its broad leaves and unique blooms. Just make sure you choose the right room to show off its green beauty as the plant requires a good 4-5 hours of daily sunlight. With the help of lush arching branches, the fishtail palm can bring your home atmosphere close to the tropics. Bright spots in the room can benefit from a bit of greenery and this indoor tree seems like an ideal choice. If you have low ceilings, this may not be a great plant considering how it can grow up to 8 or even 10 feet tall. 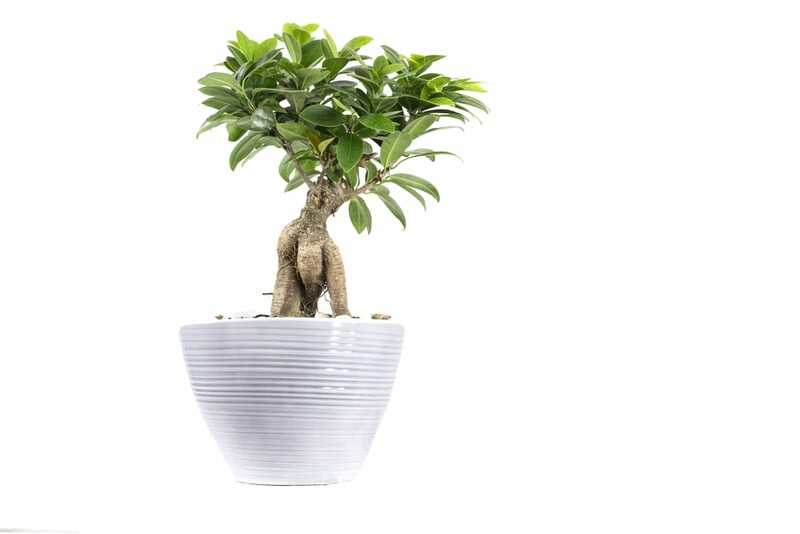 Similar to other tropical plants, this is a low-maintenance indoor tree that can survive even if you occasionally forget to water it. 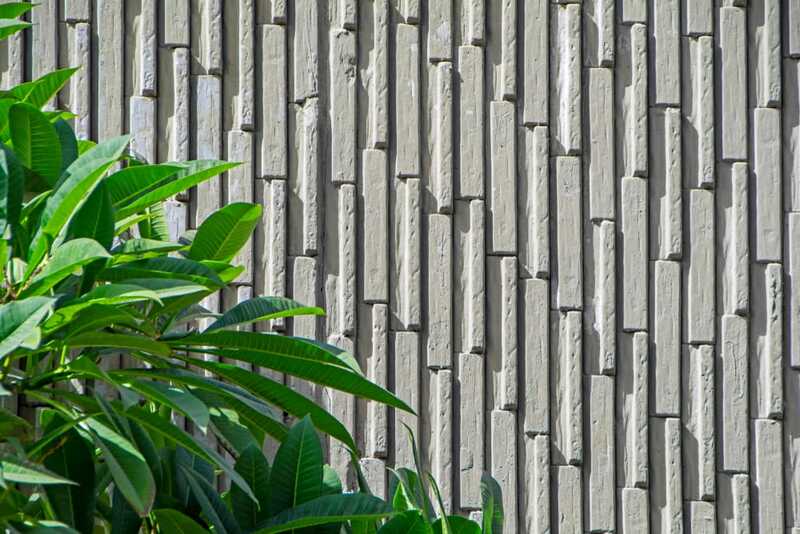 The name of the fishtail palm comes from the shape of its green fronds. Many people like indoor trees because of their giant leaves that add a sense of rich greenery to their homes. 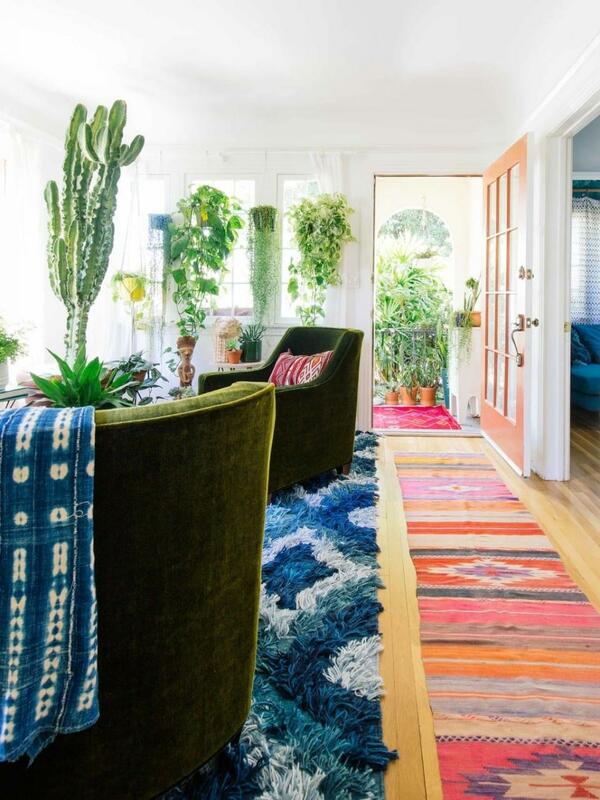 If you’re a fan of this look, you shouldn’t miss out on the vibrant aesthetics of the banana tree. This plant boasts lush foliage and there are different varieties as not all of them produce fruit. Try to seek out a dwarf banana tree when shopping for this plant, but keep in mind that even the smaller varieties can end up growing to 10 feet in height. This plant grows relatively fast and you can help it thrive by ensuring that plenty of filtered light reaches its leaves. With sword-shaped leaves and woody stems, the Yucca tree provides a distinctive desert flair when placed indoors. To keep this indoor tree fresh and vibrant, you won’t have to put in too much effort. Just find the brightest spot in the room and water it sparingly as this is a drought-tolerant plant. Grouping three Yucca plants together in one pot creates an attractive design, particularly if they have different heights. The maximum height that can be reached by this plant is around the 8 feet mark. This is not a fast grower and the plant is known for its excellent air-purifying capabilities. 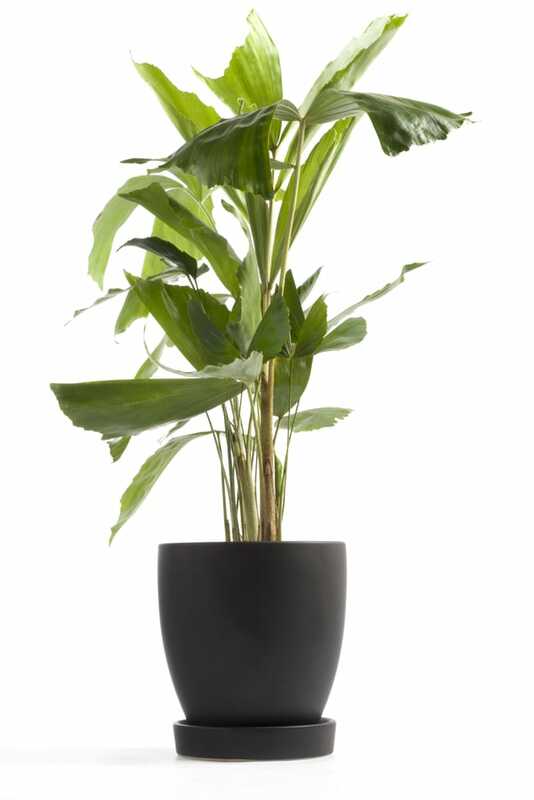 A very popular houseplant, the Philodendron stands out due to its wide design and easy-to-care-for nature. This is the kind of plant that requires a lot of space if you plan on keeping it indoors. Stick to medium light to allow it to grow healthily and avoid overwatering as much as possible. Another maintenance tip is to never let the soil dry out completely as the leaves start drooping. The African Candelabra is a succulent plant which, as its name suggests, comes with a candelabra-like outline. While the thorns take your mind to a cactus, this is a succulent which needs plenty of sunlight and well-drained soil. Keep the African Candelabra plant in a dry environment. It’s better to place it in the living room as opposed to the bathroom. When mature, this indoor tree can get pretty tall as it grows up to 6 feet. You shouldn’t expect to see some visible progress any time soon as this is a slow-growing plant. The African Candelabra is also called the Milk Tree due to its milky sap that has irritating properties. Make sure you keep this plant far from children or pets. Schefflera is often referred to as the Umbrella Tree. It has large leaves and is one of the easiest houseplants to grow indoors if you keep it in a humid environment. That being said, it will manage just fine even if the air in your home is drier. This is not the kind of indoor tree that reaches tall heights, but it can grow pretty wide so it still needs plenty of space. The glossy leaves of this plant are less prone to getting brown tips which is a frequent problem with other houseplants. Stick to indirect light for this plant and water it regularly. One issue that you can often have with the Umbrella Tree is the presence of pests like mites and scales. Jade plants are pretty succulent varieties that are highly adaptable and can reach tall heights of 10 feet. 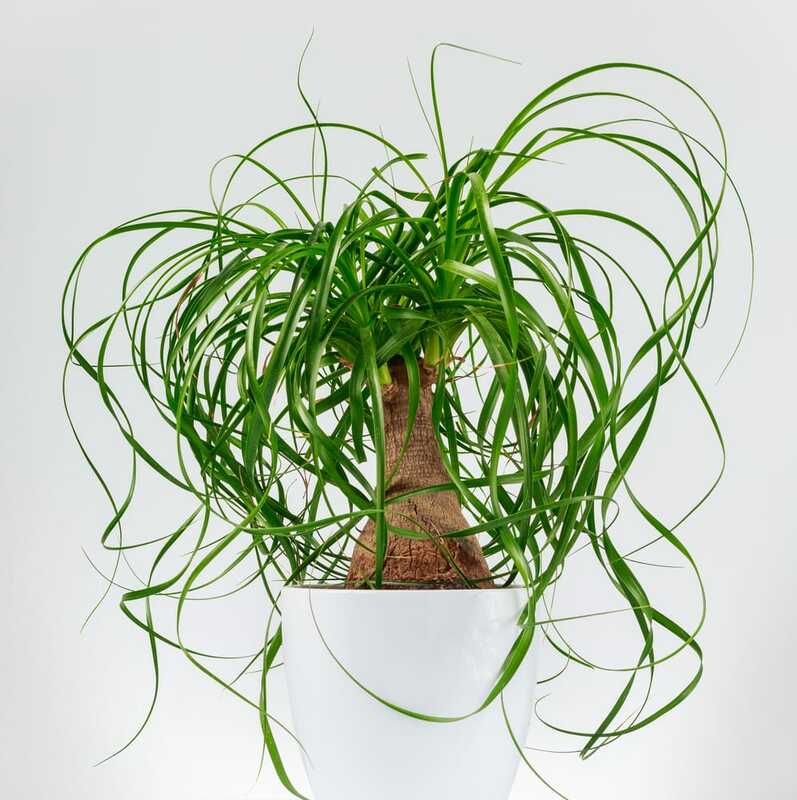 This houseplant has a sculptural look and only rarely requires water. It thrives when placed indoors in the sunlight and requires fertilization about three times a year. 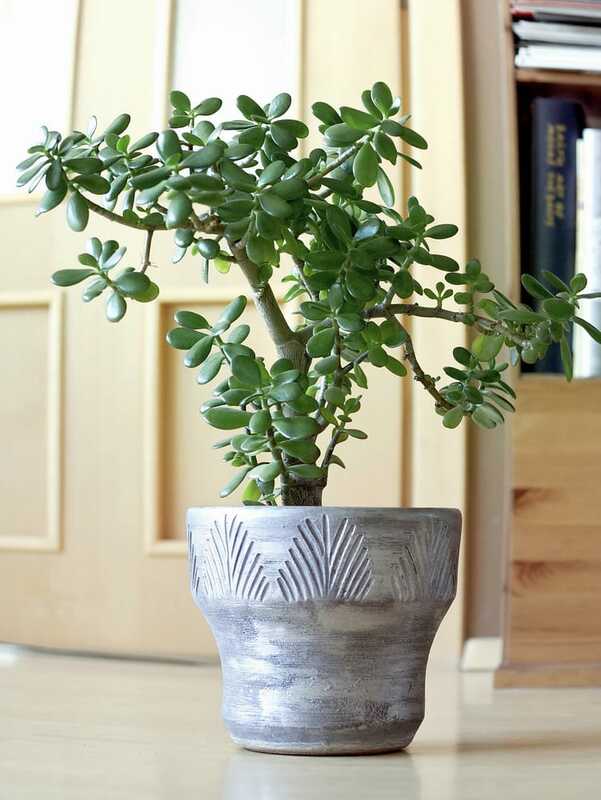 Make sure the soil of the jade plant remains moist in the hot season and dry in the cold one. As it offers a look resembling miniature trees, this large houseplant has a great visual appeal. Named this way because of the ideal place to grow it, the parlor palm is another low-light tropical tree which looks very stylish when grown indoors. 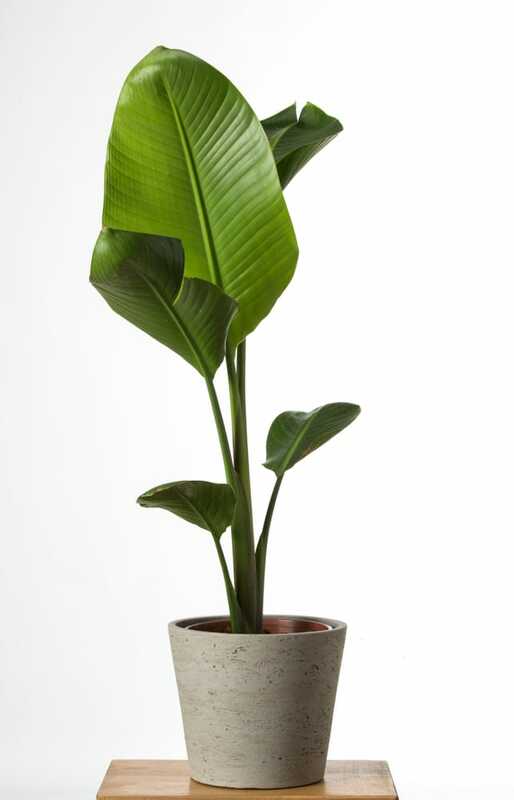 It can be suitable for any room, though it seems to be commonly found in offices as it’s simple to care for and adds just the right touch of greenery with its slightly arched leaves. Don’t leave this tall houseplant in direct sunlight as it fares better when placed in indirect light. The mature tree can reach even 10 feet so make sure you plan well when deciding on the best spot for the plant. 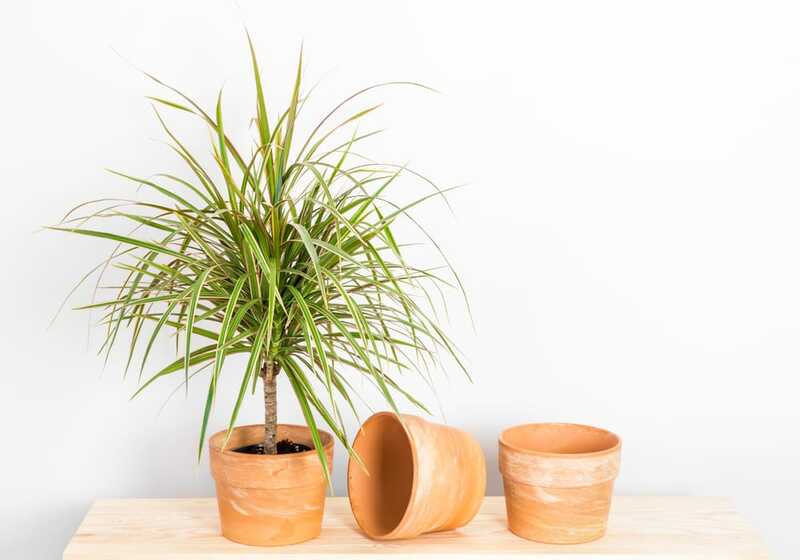 In terms of watering needs, this indoor tree likes to be hydrated only when its soil gets completely dried out. The corn plant comes with stylish foliage composed of dark-green leaves with lime-green bands in the center. It’s obvious how it’s got its name as this tropical indoor tree resembles sweet corn leaves very closely. 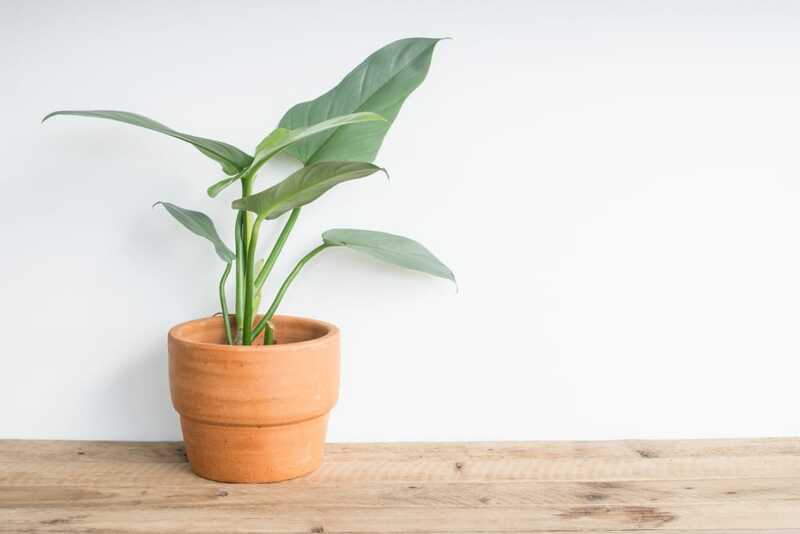 Maintaining this large houseplant is a breeze considering how you don’t need to water it too often and it adapts to different light conditions. Corn plants are related to Dragon Trees and they can grow to reasonably tall heights of up to 6 feet. This is another indoor tree with a great reputation for purifying the air. Its thick trunk curves make this an attractive option for a large houseplant. Natives of Australia and New Zealand, tree ferns have solid potential to enrich your home with some stylish greenery. This houseplant won’t reach the giant heights it can attain in the wilderness, but given plenty of water and bright light, it can thrive to become fairly large and dense. As tree ferns love moisture, consider giving it a misting treatment on a weekly basis. Lower fronds will often die and they need to be pruned off. The feathery fronds of this indoor tree are sure to become superb decorations for an indoor environment that lacks some green life. 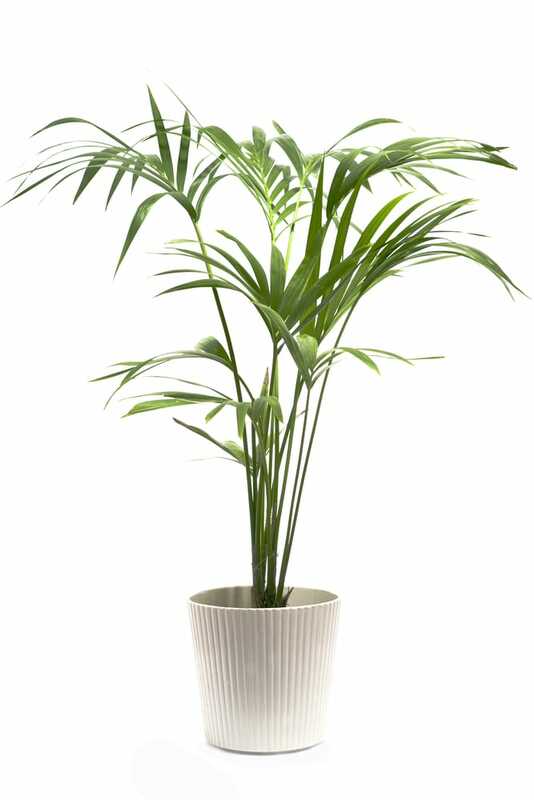 The Rhapis excelsa or Lady palm is an elegant plant that does well when it gets enough indirect sunlight. 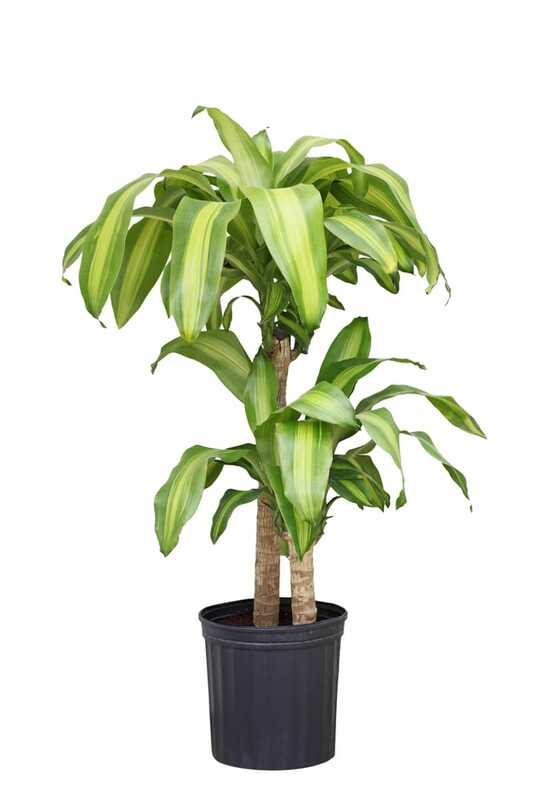 Compared to other palms, the Rhapis doesn’t require a lot of light and grows up to 5 feet tall. It will need a repotting when it becomes too wide. This houseplant can be found in other places like shopping malls and offices as it has a very low-maintenance style. Even though it’s called the Ponytail palm, this plant is actually a member of the Agave family of succulents. It’s adapted to survive in hotter regions and comes with a bulbous base to store moisture. You can easily go on a vacation trip without worrying about this indoor tree. The leaves are highly adaptable to your home environment and won’t wilt too easily. This indoor tree grows pretty slowly so it’s best to buy a mature one if you wish to add a tall houseplant to your home. The maximum height it can reach is 6 feet tall. The Ponytail palm is an eye-catching houseplant that’s simple to maintain. Make sure you let the soil dry out when replenishing with water.